Setting the Stage for the Easter Bunny! With Easter not too far away, it’s time to set the stage for the Easter Bunny! They remind me of being a kid, and checking the bird nests at the farm with Grandpa. I had these strings of eggs for a couple of years and didn’t really know what to do with them. So I used some burlap garland to string them up on our banisters. Simple. Pretty. 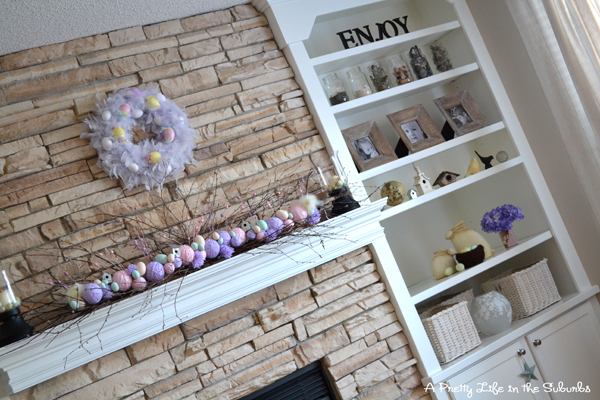 My Easter Yarn Ball & Twig Garland has it’s home on my mantle. 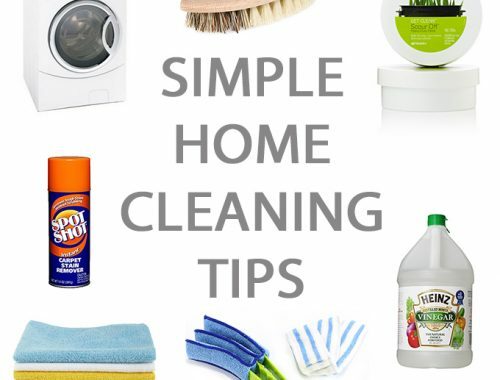 It’s all that’s really needed up there. I love our built-ins – they provide so much space for decorating fun! 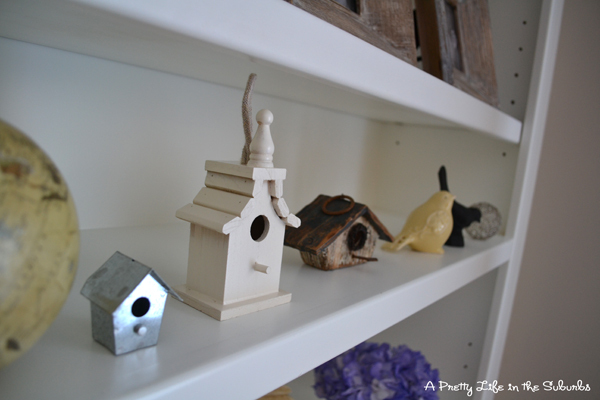 Bird houses and birds are too cute. It’s not Easter decorating without bunnies. Love my seasonal table…oooh the possibilities. 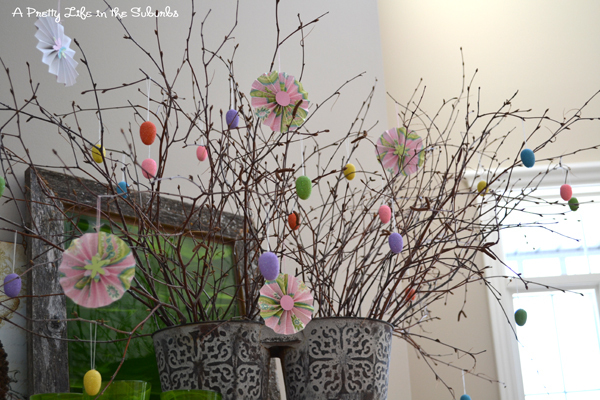 made with Accordion Paper Flowers and Easter Eggs. I hope you enjoyed my little abode. I love this time of year! 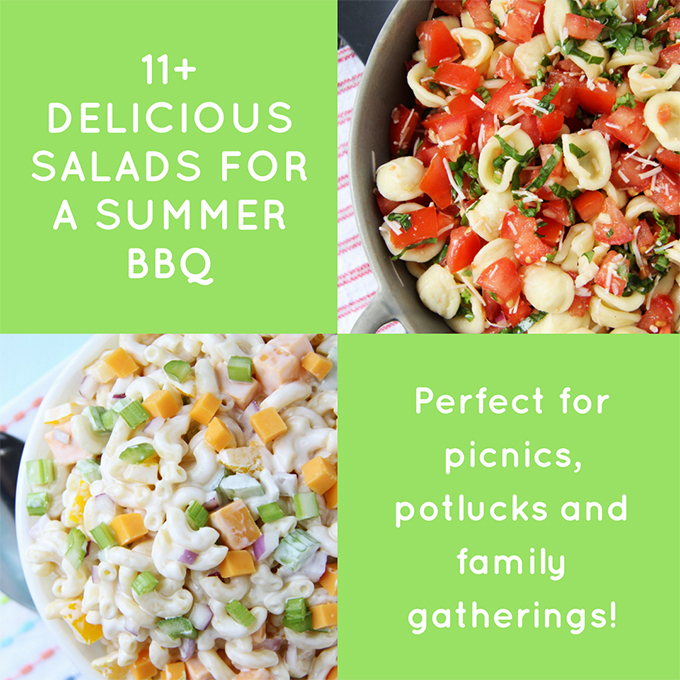 My SIL has that table and always loved what she does with it too! I love those bunnies and your mantel! Been decorating today myself! Super cute! I love the banister decor 🙂 Great idea! I LOVE IT!!! Everything looks absolutely beautiful! 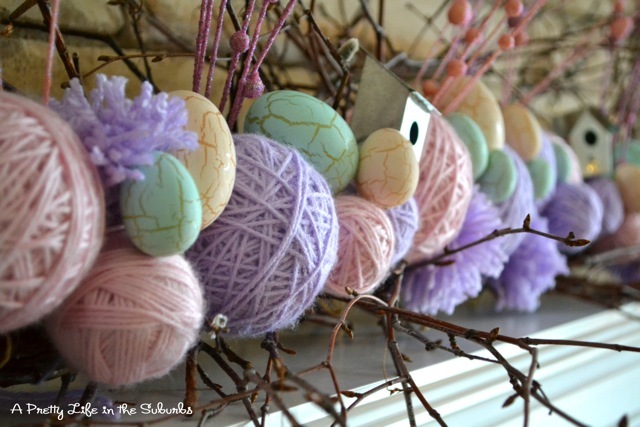 Your yarn ball/egg/twig garland is to-die-for by the way! That is one lucky easter bunny! I love these photos. I wish I was so creative. I should try sometime. oooo i love the mantel! so bright and happy! The garland on the stairwell is egg-dorable! 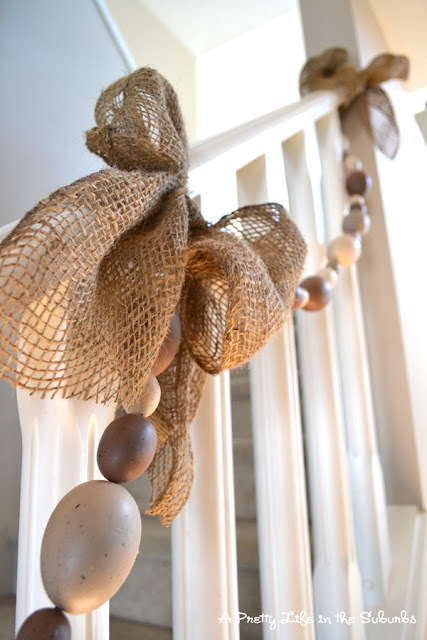 Love the neutral tones of the egg garland on the stairwell and the burlap bows. 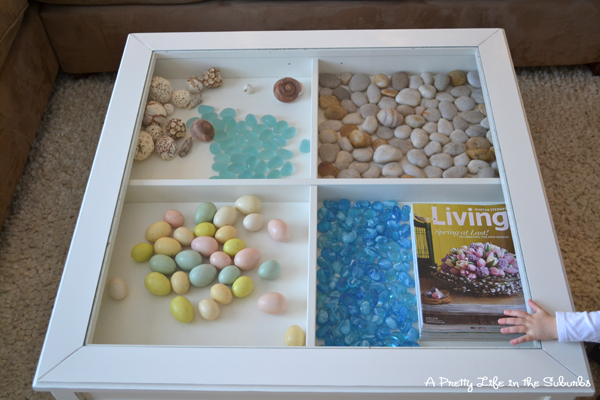 I also really like the display in your coffee table. My friend, your Easter mantel is just gorgeous! 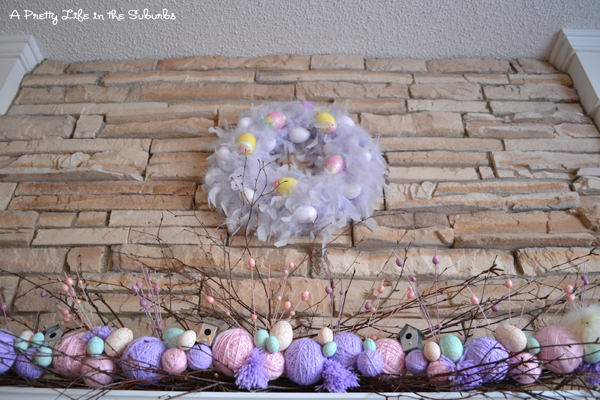 Ohhh my goodness…I adore that pretty pastel yarn ball garland! I haven’t ever seen anything like it…it is truly unique! 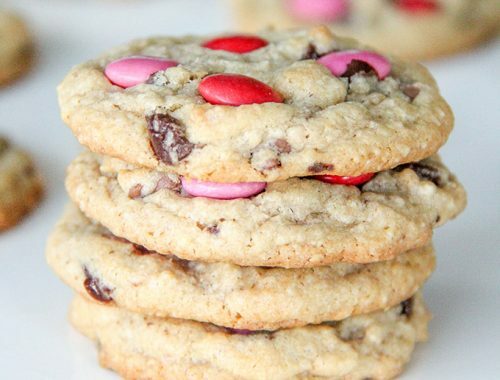 And…I love the twigs that are mixed in with it! You are right…this is all your mantel needs…well, and that pretty little lavender feather wreath…of course! Hehe! 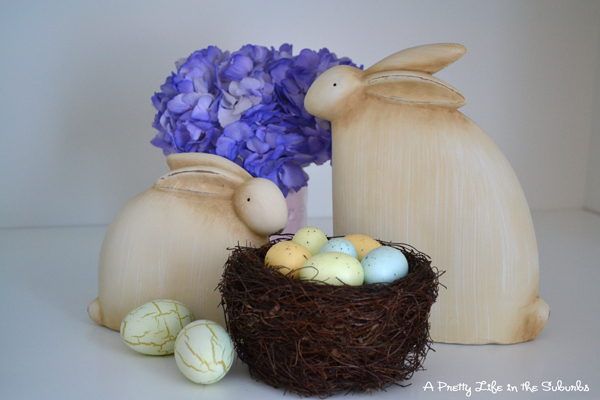 I really enjoyed getting to see a few of your spring/Easter vignettes! Everything looks soo beautiful! Thank you for sharing your Easter decor with us today! visiting from the csi project ~ beautiful stuff! Love the decor and I really liked your mantel! Too cute! Super cute decorations – I liked the banner garland too! Love all your Easter decorations! The strong of eggs together with the burlap on the banisters. You mantle is really cute! Well done. 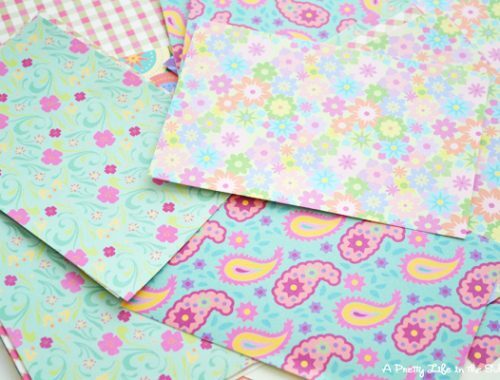 I am having a spring craft linky party and giveaway on my blog this Friday. 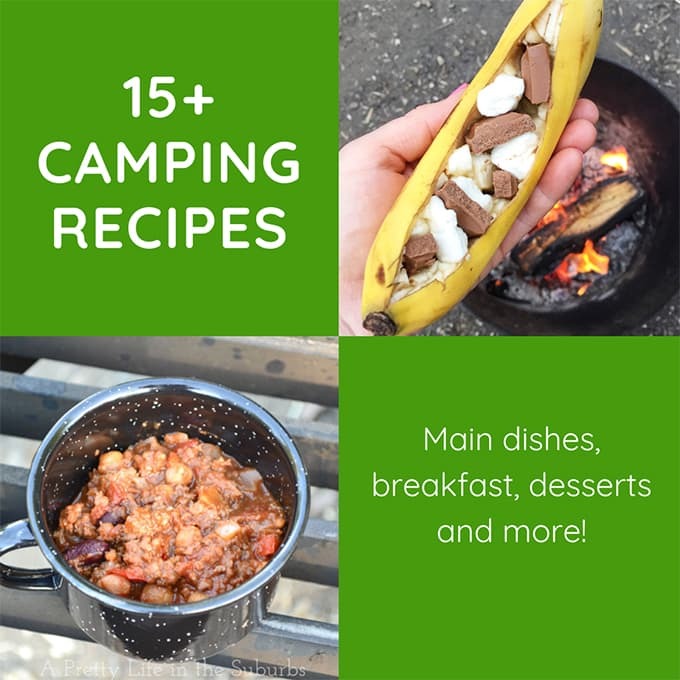 I would love for you to showcase these wonderful projects. Love the egg garland! How creative. 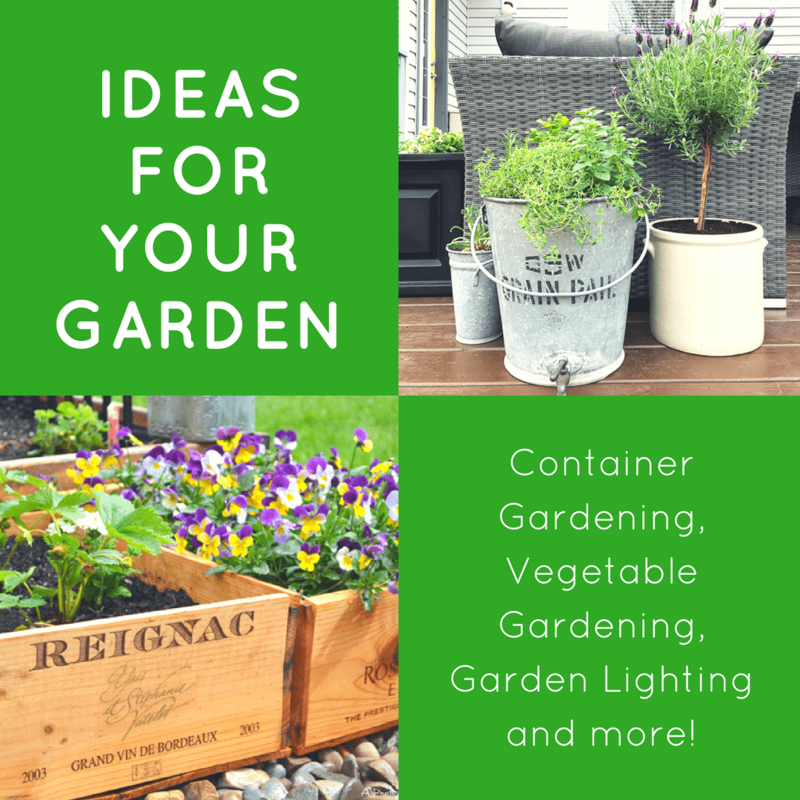 I posted this on my blog as a great spring idea! 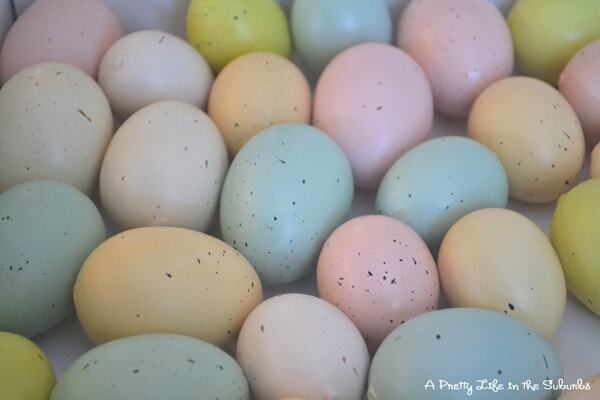 I just found your blog and I’m loving all your Easter ideas! How great is that burlap garland, love it! So happy to have found you and now be following! That burlap garland is GORGEOUS!!!! Congrats on being featured at Funky Junk Interiors! Everything is just so darn pretty and beautiful and lovely! Your Easter decor is just lovely. 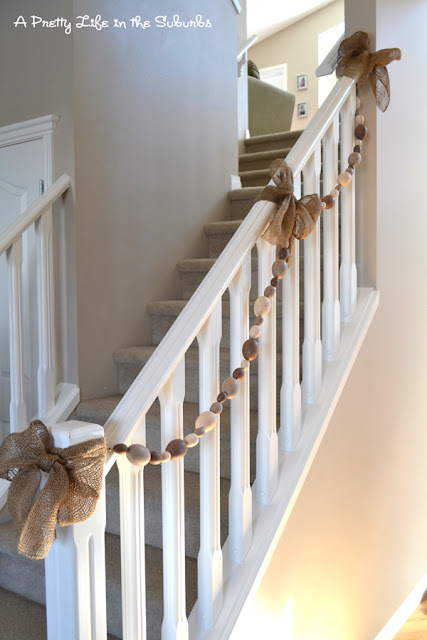 My favorite is the speckled egg garland on your staircase – just wonderful! Happy Saturday! I just happened across your blog and absolutely LOVE your burlap garland! I bought a roll myself a while back and have been having fun playing around with it. I used a long piece as a runner for my Easter tablescape and really liked how it looked. I’m your newest follower…. Not sure which I love more, the garland or that coffee table! Where did you get the table? Thank you so much Edith! I love our table too…it’s so fun to decorate for different seasons and holidays. We bought it at IKEA! Stop it, I need to go there anyway! Thanks!